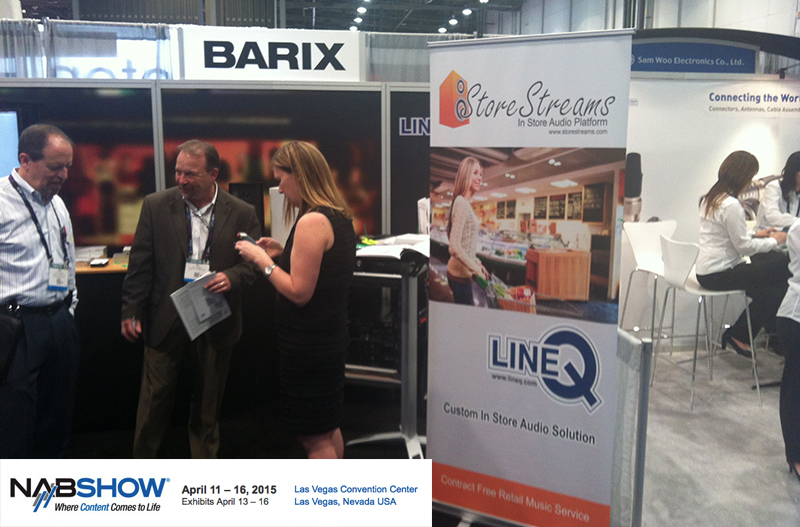 StoreStreams, Barix/LineQ and staff members from XYZ Stream Hosting will be in Las Vegas April 11 – 16th at NAB2015. Come meet our team in the Central Hall at booth number C6346 at the Las Vegas Convention Center. Come by to learn about The StoreStreams In Store Audio Platform that makes retail radio implementations fast and simple. The Store Streams In Store Audio Platform offers a complete streaming radio solution for all retailers and Audio Visual service companies who install Digital Signage products. StoreStreams offers a fully licensed in store audio platform for all retailers of any size. The StoreStreams in store audio platform consist of content, licencing, playback hardware, speakers, power amps and streaming media delivery. XYZ Stream Hosting is a managed service solutions provider for IP-based audio and video streaming media technologies. Through its end-to-end platform XYZ works closely with consumer brands, content providers and telecommunication companies to maximize the value of content delivery via the Internet through mobile networks, gaming consoles, IPTV set-top boxes, and Smart TV devices.